How I got into investing in Dividend stocks since I was interested in all things real estate I heard about REITs and started looking into it and learned about monthly distribution and the rate of return on investments, plus it’s an easy way to get into commercial property investing. Always diverse your investments use a mix portfolio of investments monthly and quarterly payments. High risk and low risk stocks – REITs / MLP / Blue Chip Stocks, build a mix portfolio of 20 or 30 stocks or whatever you are comfortable with, but more than 10 stocks. Don’t keep checking the price of the stocks everyday or every month, it’s like buying a house once you buy a house you don’t keep checking the price of your house every month to see how much it is worth. If you have to check the price just check the stock price once a year or 6 months if you need to. Just remember you bought this stock for the dividend not the price of the stock. Warren Buffet said during an interview, he likes it when the price drops on a stock because he can buy more of it at a discount. When the price goes down means cheaper price = more stocks. Investing = is investing for the long term you have to be in it for the long haul for it to work. Also I hear people say I will put only 10% of my income in investments and max out my 401k at work. The hell with that invest like you about to lose your job in a couple of weeks, invest as much as you can and try to change your lifestyle to live off the dividends and other investments. 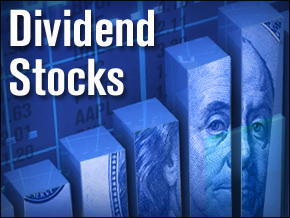 Some helpful websites to use for investing in dividend stocks go to Dividend.com they have a lot of useful tools, options to see different categories, tips, calculators, and so much more. Check out my eBook to find out some of the things I use to make investing easy for me and some of the ways to create income.